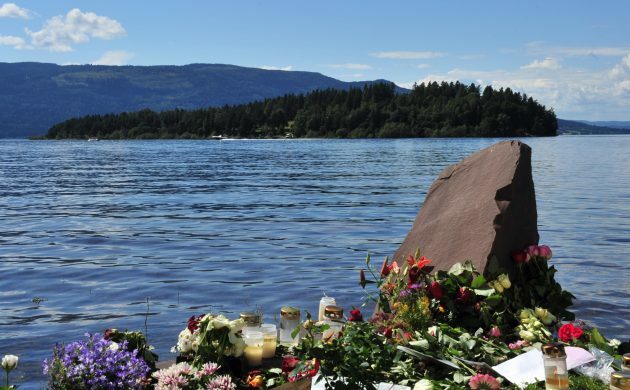 The deadly attack carried out by Anders Breivik, which left 77 people dead in Oslo and the island of Utøya on 22 July 2011, had consequences more far reaching than first comprehended. According to a new research project, jointly compiled by the University of Copenhagen (KU) and Aarhus University, the attack led to a marked increase in the number of Danes diagnosed with PTSD disorders. “The observed increase in diagnoses of trauma and stressor-related disorders, taken together with the fact that we do not see a similar increase at other times or in relation to other diagnoses, indicates that the attacks were indeed the underlying cause,” said Bertel Teilfeldt Hansen, one of the authors of the findings. In order to measure the Danish reaction to the attack, the researchers used data gleaned from the Psychiatric Central Register, which contains all psychiatric diagnoses made in psychiatric hospitals in Denmark from 1995-2012. The data revealed that in the period just after the massacre and leading up to the end of 2012, the number of Danes with PTSD increased by 16 percent compared to what was expected – the equivalent of 2,736 additional cases during those 18 months. The research findings come on the heels of a similar Danish research project from 2016 that showed that the 9/11 terror attack in the US led to a boom in the diagnoses of psychological disorders in Denmark. But the attack in Norway had a more profound impact in Denmark. “We observed the same kind of effect in Denmark following 9/11, but the effect of the Breivik attacks in Norway was four times as strong compared to that of 9/11,” said Søren Dinesen Østergaard, another co-author. The results of the research have recently been published in the recognised scientific journal Epidemiology.